From the 16th Century, the love of great emperor Shah Jahan for his queen Mumtaz has been standing proud demonstrating the story of the eternal love of this great Mughal Emperor. This marble Mausoleum is actually the tomb of Queen Mumtaz lying beside her beloved husband Shah-Jahan. 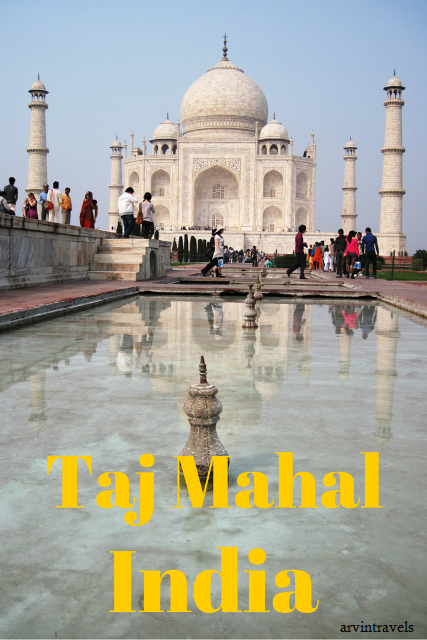 Tajmahal is made of white marble, with beautiful precious and semi-precious stones like Lapis-Lazuli, sapphire etc. A paradise for every traveler, Tajmahal brings millions of tourists every year to the small town Agra, closer to the capital, Delhi. For over a century, this city has served as the capital of Mughal Empire. Shah Jahan was the son of Mughal prince Jahangir and the grandson of the great sultan Akbar. The story of Mumtaz Mahal and Shah Jahan is somewhat debatable. There are three to four versions available how exactly they had met. However, the facts said that Mumtaz, priorly known as Arjumand Banu Begum was the daughter of Asaf Khan, who was an influential minister in the court of Jahangir. Empress Nur Jahan, the powerful queen of Jahangir, was believed to be the aunt of Mumtaj. Shah Jahan first met Mumtaz in Meena Bazaar, the market of women inside the palace when he was 14 years old. He fell in love with 15-year-old Mumtaz, but they didn’t get married until after 5 years. Mumtaz died while giving birth to their 14th child. Their marriage was a happy one and the emperor became heartbroken while his beloved queen died in childbirth. After her death, according to her request, he started making a Mausoleum for the final resting place of his beloved queen in the bank of river Yamuna. It had taken 22 years to finish the construction of this great Mausoleum of love. Tajmahal looks different in every time of the day. So, the visitors are always requested to visit Tajmahal during Sunrise and Sundown. A special trip is conducted in Tajmahal during the Full Moon. Tajmahal is situated in Agra, on the bank of river Yamuna. Agra is nearly 210 km away from Delhi, the capital of India. Delhi is well connected by air and road both nationally and internationally. The expressway which connects Agra with Delhi is named Yamuna Expressway. It takes around 3 hours to reach Agra from Delhi tentatively without major Traffic. Along with that, there are some normal and superfast trains available to travel to Agra from Delhi. This list includes the newly launched Gatimaan Express which is till date the fastest train in the country. Agra mainly has three major train stations. These stations also connect Agra directly with the rest of the country. The life around Tajmahal is quite unlike the feelings you have ever experienced so far. So, hop on a bus or take a train—Tajmahal is sure to welcome you with its indefinite charm.